Experts agree . 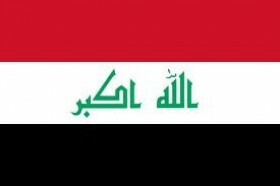 Iraq is a country poised for tremendous economic growth . Iraq , the oil-rich country , ravaged by decades of war , is on the brink of an economic explosion ! There are many ways to invest in Iraq’s future growth , but the Iraq Stock Exchange is the best way to take advantage of Iraq’s investment potential . As an investor, in any foreign market , you need to take care when you choose your broker . You need to find a brokerage firm that is professional , communicates well with customers and clients , places all buying and selling orders in a timely manner , one that is business-minded and understands your investment goals , is detail-oriented and , above all else , one that you can trust . Aljazera Brokerage Company is all of the above . Therefore , Aljazera Brokerage Company is your best option for ISX broker . We at Aljazera Brokerage Company strive to serve our clients’ needs professionally and in a timely manner every time. We are a premier brokerage firm for securities on the Iraq Stock Exchange ( ISX ) . You can find us listed on the ISX website , www.isx-iq.net , and on the Iraqi Securities Commission ( ISC ) website , www.isc.gov.iq. Our firm was founded in 1992 , the same year the Iraqi stock market was established. We are a licensed brokerage firm for purchasing and selling securities and a registered member of the ISX . Our registration license number is 4899 . This license was issued by the Iraqi Companies Registration Department . Aljazera Brokerage Company is regulated by the Iraqi Securities Commission ( ISC ) . We would be happy to answer any questions or concerns you may have about trading on the Iraq Stock Exchange. Mr. Hasan A.L.Abdul-Karim is the Company Chairman and CEO .